The ICA is an internationally known art gallery and museum. Typically, the ICA has four exhibits per year, and does not display a permanent collection. The institute's mission is to showcase the works of the world's foremost contemporary artists. In its 65 year history, the ICA has notably displayed the works of Pablo Picasso, Edvard Munch, Andy Warhol, and Cindy Sherman. Paintings, photographs, films, and other art objects have been displayed at the ICA. Music, poetry reading, performances, and lecture programs have also been offered by the institute. 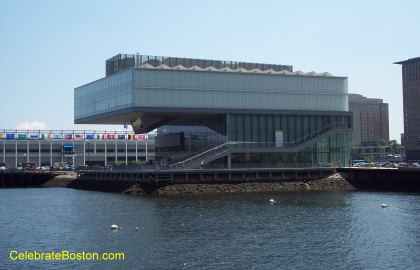 The ICA recently moved into its new $37 million building at Boston's Fan Pier in South Boston. A comparable cultural facility has not been built in the city in almost 100 years. Before visiting the ICA, it is suggested to check their schedule, as the facility may be closed between exhibitions. In 2011, ICA hosts several free concerts during the summer season.